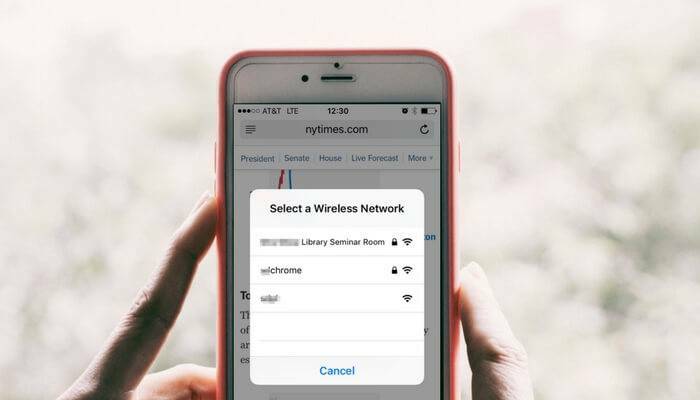 Are you getting this annoying popup on your iPhone? 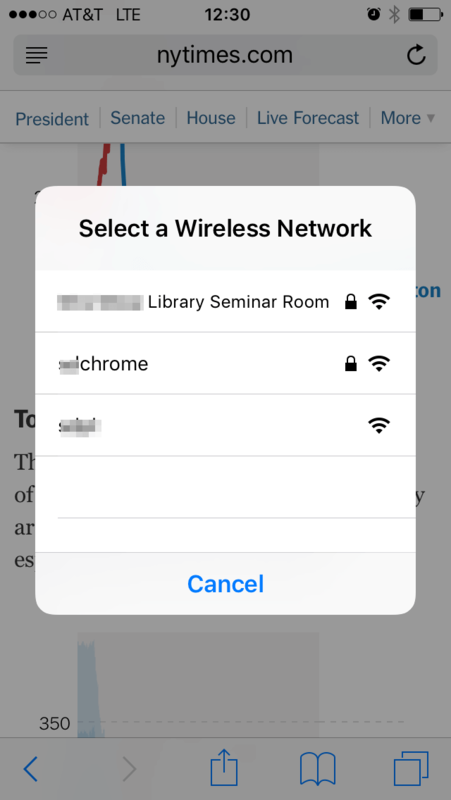 It asks to join networks by showing a new window on your iPhone screen like this (screenshot below), with a list of available Wi-Fi networks to select under "Select a Wireless Network" and a "Cancel" option at the bottom. I did. Today it showed up at least 15 times when I walked into Starbucks, the city library, and a restaurant. Every time I opened my iPhone 5S, the popup appeared on the screen. Of course, I hit the cancel button every time. But I felt it's really annoying. Not sure if it's related to the recent iOS 10 update (I strongly doubt). Maybe the new mobile operating system has a default setting to enable this option asking to join networks available nearby. Well, it could be a friendly reminder for those of you who have limited Internet data plan. But for me, I feel it's more disturbing than convenient. Also, I'm not comfortable joining networks I am not familiar with because of the danger of public Wi-Fi. Fortunately, disabling this "ask to join network" popup is an easy task. With only a few taps on your iPhone, and it will disappear for good. 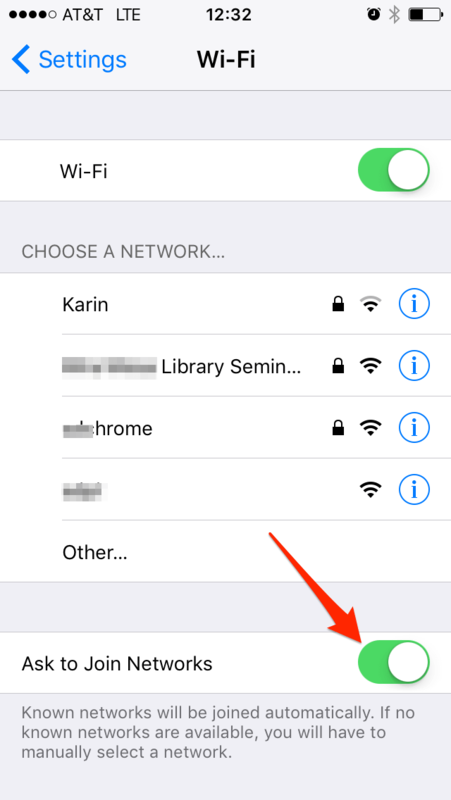 Step 1: Tap on the Settings app, and tap Wi-Fi. Step 2: See this "Ask to Join Networks" option at the bottom? In my case, it's turned on (with green color). All you need to do is tap on it to switch it off. Step 3: Now it's like this. The green color becomes gray. 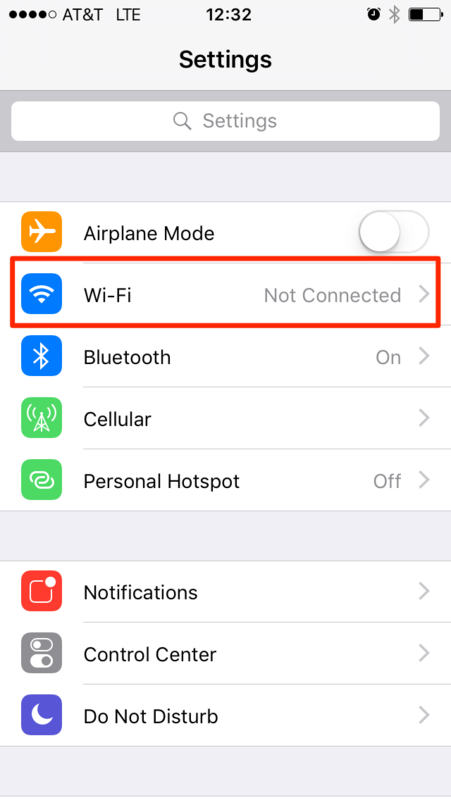 Another solution you may use is turn off the Wi-Fi button completely (in the above screenshot). 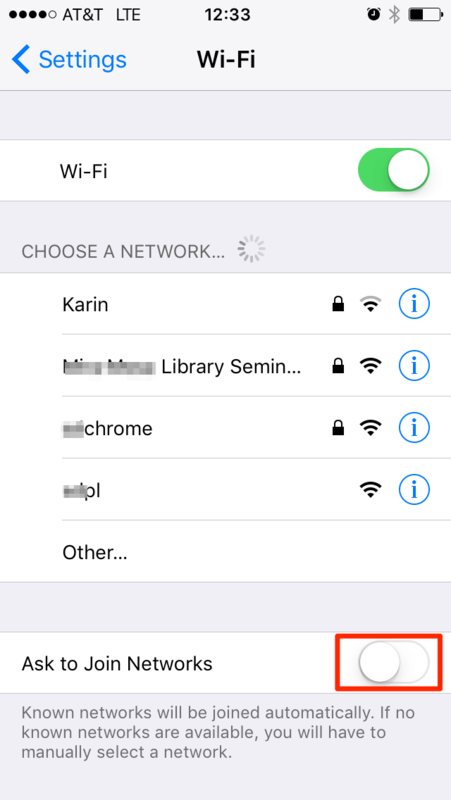 Personally, I wouldn't recommend you do this because it will block your iPhone from auto-joining the known Wi-Fi networks for example at home, or at work office. If you forget to turn it on, your data plan could be used up much faster than you thought, especially when you browse YouTube or other online video websites. Final note: this tip works for iPhones with iOS 10. If you are using an iPhone with iOS 9, 8 or earlier, I can't guarantee the steps would be the same, but they should be quite similar. Anyway, that's what I want to share with you today. Hope you find this simple trick useful. If you come across another iPhone problem, feel free to leave a comment below. I'll be happy to help you address it. I’m on 10.3.1. I have “Ask to Join Networks” turned off. And this is an annoying issue again.